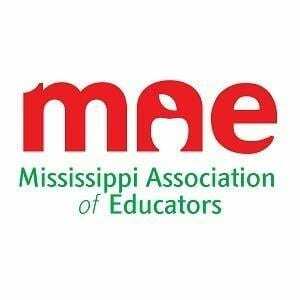 Yesterday, President Joyce Helmick and the Mississippi Association of Educators shared a written response to House Bill 1349 with the bill’s author, Representative Charles Busby; education committee chairs Senator Gray Tollison and Representative Richard Bennett; and state leadership. HB 1349 calls for a $2000 pay raise split over two years and a $1000 pay raise for teacher assistants also to be split over two years. “After reading HB 1349, it became clear that in its current form this bill just isn’t going to cut it. In addition to an insulting teacher pay raise proposal, it is so lacking in substantive policy changes that we felt it was necessary to address state leaders and the bill’s author directly. We are passionate about fixing what’s broken in this system and celebrating the teachers who make it work despite all that,” said Helmick. The letter also sheds light on what President Helmick believes many lawmakers simply may not know. “Being a teacher in Mississippi is more than going to school to earn a degree, taking the licensure exam, and going into the classroom for the next twenty years. There are low salaries, second and third jobs, multiple Praxis tests, a lack of contract security, and more. We felt it was our job to share what our teachers contend with on a daily basis in an effort to ensure legislators reassess these policy proposals from a more informed perspective,” she continued. Click HERE to read the full response from the MAE.